When did it become okay for the media to be anti-science and anti-agriculture? A CBC news story over the weekend calls into question the research relationship between academics and industry. University of Saskatchewan professor Peter Phillips has had his reputation attacked by the CBC for email communications with his colleagues and former PhD student at Monsanto. Phillips has a stellar 20-year academic career researching, writing and publishing about innovation, particularly in its application within agriculture. Sadly this story didn’t develop due to the CBC’s high-quality investigative journalism, CBC was spoon-fed the story by the US-based industry-funded organization Right to Know (RTK). This group receives over $400,000 in funding from the American trade group Organic Consumers Association (OCA). The US organic industry is very threatened by biotechnology and GM crops and for several years now been attacking academics all over the USA. Through OCA funding of US Right to Know, the organic industry has tried to smear academics for undertaking research on innovation in agriculture that relate to biotechnology and GM crops. While the organic industry’s attack on innovative agriculture is concerning, to me what is a larger concern is the anti-science and anti-agriculture stance adopted by the CBC, a government funded organization. The CBC has not shown itself to be overly supportive of GM crop production in Canada. Instead, CBC prefers to give airtime to those critical of biotechnology. A search of the CBC radio science program Quirks and Quarks reveals only a single mention of ‘GM crops’ and, regrettably, its story is about GM mosquitoes in Brazil. The CBC’s science flagship program has not aired a single story about the benefits or impacts of GM crops in Canada or anywhere else for that matter. When Saskatchewan’s CBC covered the provincial governments’ budget cut to the University of Saskatchewan in March of $20 million in funding, where did they think funding for academic research or new faculty positions is going to have to come from? Maybe the tooth fairy will fund them! Industry collaboration has been a staple of academic-industry collaborations for decades, particularly in agriculture and will continue if both parties continue to receive benefits. Various grain and oilseed producer groups fund academic research to improve the quality of the varieties grown. Livestock, dairy and poultry industries have made substantial financial contributions to the U of S in support of innovative research. Our very own Canadian Wheat Board funded graduate students once upon a time. Why haven’t these been stories of equal interest to investigative journalism? The answer is because these other examples haven’t been publicly misrepresented by other media like Monsanto has. There is nothing scandalous about Phillips communicating with individuals at Monsanto, the CBC is simply capitalizing on the corporate hate trend to get a cheap story. Academic-industry relationships are not new nor taboo. For nearly 20 years the federal government has been endorsing universities to get involved with industry and create relationships. The government has created incentives for academics to reach out to industry by establishing grants that provide matching government funding when industry invests in a university research project. Industry funding can account for 25% to 60% of a research application. As academics, the government is directing us to collaborate with industry, to have conversations with them, learn what their needs are and to assist in finding solutions to problems. To top it off, the CBC story is clear that Phillips never received any financial support for his research from Monsanto. So why the hypocrisy? Academics communicate with multiple audiences. We talk to government policy-makers and regulators. We speak with industry representatives. We talk to farmers and farm organization. We speak to the public. We talk to students. 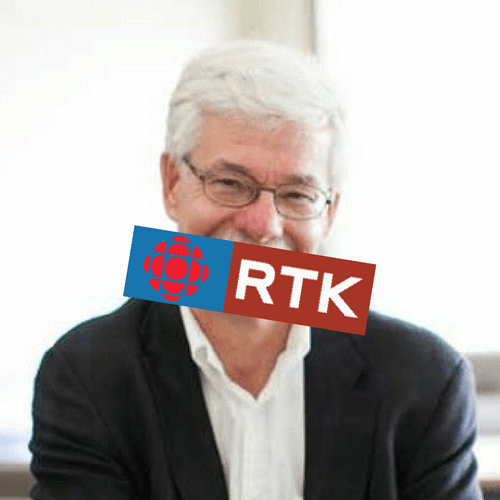 Why is the CBC only interested in one tiny part of who an academic talks to? Sadly, the CBC has lost its credibility in jumping on the controversy bandwagon. Disclaimer: As a professor whose researcher is focused predominantly on the economic and environmental benefits of genetically modified (GM) crops, I’m very careful to ensure that my results are truthful and accurate. I would not and will not alter my results to benefit any industry or research funders. Nor would any industry firm ever ask to do this. I know that my colleagues and friends that are engaged in similar research would not do this either. This blog is in response to those attacking my friends, colleagues and my profession. As a result of being a researcher in the field, I cannot be unbiased, as I stand in support of my research area and those I work among.